Anti-terrorist teens attack a global kidnapping ring. A realistic middle-grade (tween) action-adventure novel packed with secret societies, questionable friends, and international chases. While sleeping on the roof of his father's hotel, thirteen-year-old Lucas Benes finds a baby alone and learns that the Good Company has restarted its profitable kidnapping business. Multilingual and already on his third passport, Lucas leads a network of international teenagers through the hotspots of Paris-from the catacombs to the Eiffel tower-in an all-out effort to spoil a brainwashing ceremony that could potentially turn them all into 'Good' kids. No matter how bad your past is, you still don't want it erased. Reluctant readers rejoice! Ripped from the headlines of the world's leading news outlets, this realistic middle-grade (tween) novel weaves actual life events into action-packed fiction fit for boys and girls ages ten and up. Readers are transported to the City of Lights without ever leaving the sofa. With more than one hundred geographic references, this story serves as both fiction novel and travel guide. 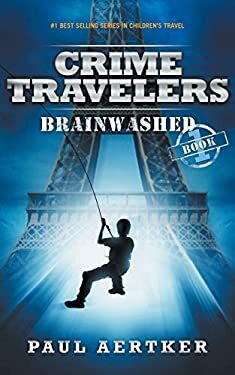 Crime Travelers Brainwashed stands as a fantastically accurate travel-adventure book that girls, boys, and adults will devour. Multicultural, multilingual, international travel, teen action-adventure: this book has it all.